Britain’s parliament is being recalled to debate the Syria crisis though the outcome is a foregone conclusion since the opposition has already indicated that it would conditionally support an attack. Already the UK has deployed naval assets to the eastern Mediterranean together with strike aircraft that have flown into Cyprus. Across the Channel, France too is ready to go while across the Atlantic US President Obama is just waiting on the formality of a go ahead after Britain’s parliament has voted. Meanwhile, Britain’s Prime Minister David Cameron has said that intervention in Syria is not about ‘regime change’ but halting the use of chemical weapons. This is blatantly transparent nonsense. Both Cameron and Obama have been pushing to depose Syrian president Bashir al-Assad ever since the civil war began more than two years ago. The proof of it will be in the targets that the allies attack once strikes begin. The allied leaders are attempting to frame the upcoming war as a humanitarian intervention despite it clearly being purely political and carried out specifically as part of an overall strategy to rid the region of all of Israel’s enemies. * The real reason the US and their allies are now going to intervene is because it was becoming obvious that al-Assad was actually getting the upper hand and looking increasingly likely to win the war – which, as others, as well as myself, have observed, begs the question: why use chemical weapons at this point knowing that the US and their allies will intervene? While the US and Britain have been mouthing the rhetoric, Israel have been quietly saying little except the usual about Iran being an existential threat to Israel and the world and trying to look diplomatic by pretending to make an effort in talking to the Palestinians while at the same time shooting them. But behind the scenes Israel are busy preparing for their war against Hezbollah and Hamas. The scene is almost set for what could possibly become the final confrontation that Israel and her Western allies have long been waiting for. Again, I hope I’m wrong but, this time it seems far more likely than ever before. 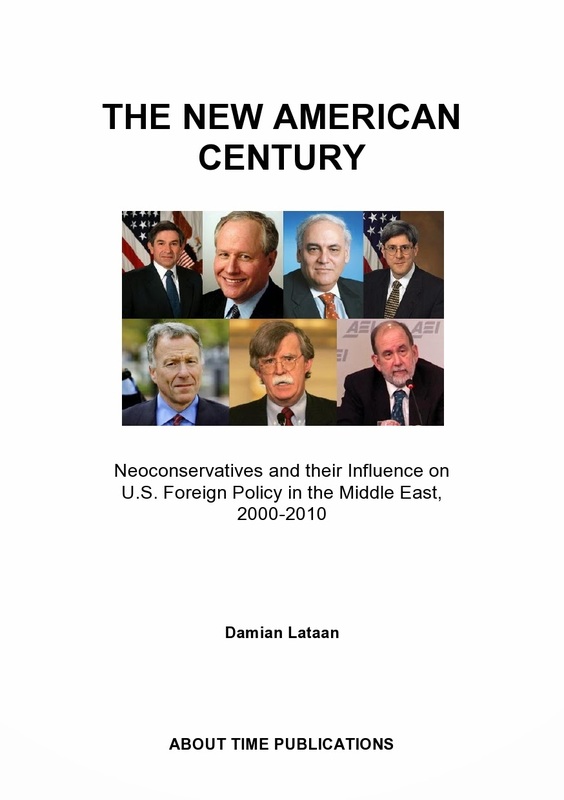 *Look out for my book; The New American Century: Neoconservatives and Their Influence on US Foreign Policy in the Middle East, 2000-2010, which explains, with over 1200 supportive notations, exactly how and why affairs in the Middle East have been manipulated for the benefit of Zionist Israel.